ROCKVILLE, Md. 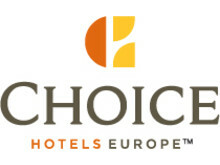 (April 1, 2019) – Choice Hotels International, Inc. (NYSE: CHH), announced three new additions to its European portfolio: Hotel Aquarius Venice and V8 Hotel Köln @Motorworld, both members of the Ascend Hotel Collection located in Venice, Italy and Cologne, Germany, respectively, and Quality Hotel Ostrava, the first Quality-branded hotel to open in the Czech Republic. ROCKVILLE, Md., March 21, 2019 /PRNewswire/ -- Choice Hotels International, Inc. (NYSE: CHH) is pleased to announce the opening of the largest hotel in its portfolio – the Clarion Hotel The Hub in Oslo, Norway. The hotel offers 810 rooms, unique design, two bars, and a premium rooftop restaurant with stunning views in the heart of Norway's capital city. ROCKVILLE, Md., Feb. 15, 2019 /PRNewswire/ -- Choice Hotels International, Inc. (NYSE: CHH), one of the world's largest hotel companies, today reported its results for the three months and year ended December 31, 2018. 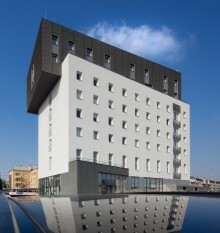 Choice Hotels, one of the world’s largest hotel chains, is expanding the European brand presence of Comfort Hotels. (LONDON. 09 February 2018) - Choice Hotels continues to expand its exceptional offerings for travelers in Europe. 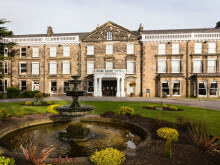 Choice Hotels Europe, part of Choice Hotels International, Inc. (NYSE:CHH), today announced that four upscale hotel properties have joined its UK portfolio. ROCKVILLE, Md. (December 18, 2017) – Choice Hotels International (NYSE: CHH), one of the world’s largest hotel companies, today announced that it has reached a definitive agreement to acquire the brand and franchise business of WoodSpring SuitesSM from WoodSpring Hotels Holdings LLC, a portfolio company of Lindsay Goldberg, for approximately $231 million, subject to customary adjustments. 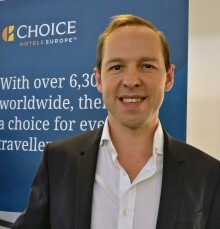 Choice Hotels Europe, the company behind the Comfort, Quality, Clarion and Ascend Hotel Collection brands here in Europe and part of Choice Hotels International, Inc, announced today the appointment of Andrius Remeikis as Director, Corporate Sales, Europe. Rockville, Md. (November 10, 2017) – Another big win for the Choice Privileges loyalty program from Choice Hotels. For the second straight year, USA Today’s 10 Best Readers’ Choice Awards has named Choice Privileges the “Best Hotel Loyalty Program.” A panel of USA Today travel experts and 10Best editors developed the list of nominees. Readers voted to determine the rankings. 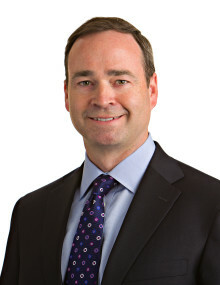 On July 13, 2017, Choice Hotels International, Inc., (NYSE:CHH) Board of Directors announced our CEO Succession Plan and the appointment of Patrick Pacious as incoming President and Chief Executive Officer. We are pleased to share that Pat will assume his role as President and Chief Executive Officer and is joining the Board of Directors on September 12, 2017. 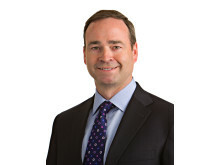 Choice Hotels International, Inc. today announced that its Board of Directors appointed Patrick Pacious as President and Chief Executive Officer, effective January 1, 2018. Boutique hotel brand Ascend Hotel Collection, which has been expanding since 2008, is to open its first German property in 2018. It will be part of the new MOTORWORLD Koeln-Rheinland, an event and classic car centre that will open in Spring 2018 and host the private collection of seven times Formula 1 champion Michael Schumacher. 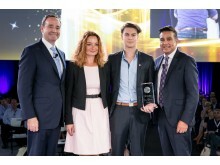 Choice Privileges, the loyalty rewards programme from Choice Hotels International, Inc. (NYSE: CHH) was honored by the travel loyalty industry’s most prestigious awards organization. At InsideFlyer’s 29th Annual Freddie Awards Ceremony in Jersey City, New Jersey in the United States, the Choice Privileges programme brought home the 2017 Freddie 210 Award for Europe. Choice Hotels International, Inc. (NYSE: CHH), one of the world's leading hotel companies, has released its annual traveller survey capturing the latest insights from U.S. consumers. This year’s survey reveals Americans will increase travel spending in 2017, and identifies the top European destinations. Choice Hotels Europe, the company behind the Ascend, Clarion, Quality and Comfort brands, today revealed the findings of its sixth annual “European Hotelier Pulse-Check”, which assesses over 100 of its hotelier’s 2017 business imperatives, opinions and potential industry trends.